Two of St. Xavier's 2017 stars, quarterback Sean Clifford and offensive lineman Matt Bockhorst, have committed to play in the Under Armour All-America Football Game, according to event official Billy Tucker. Both players tweeted their commitment Wednesday night. Bockhorst, who is verbally committed to Clemson, was Associated Press Division I first-team all-state and first-team all-district in 2015 for the Bombers (7-5). Clifford, a Penn State commit, was second team all-GCL South, threw for 1,746 yards and 12 touchdowns last season. He also rushed for 225 yards and six touchdowns. 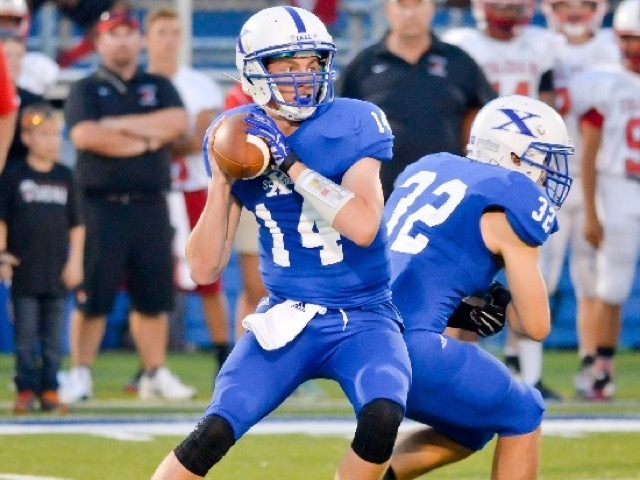 St. Xavier quarterback Sean Clifford has verbally committed to play football at Penn State. Both players are among the WCPO.com Top 10 football players t o watch this upcoming season. Clifford told WCPO.com he found out about the invitation Wednesday and committed that day. "I think it is a great opportunity to learn from the best and prove myself nationally," Clifford said. "It is surreal to have both Matt and I in the game together. It will also be a sad moment since that will be our last game together." Bockhorst told WCPO.com he found out about his invitation Wednesday when St. X coach Steve Specht notified him that game officials were going to officially invite him later in the day. Bockhorst said teaming with Clifford makes it all the better. "Playing in this game is such an unbelievable opportunity and the fact that I will be playing alongside my best friend and teammate Sean is something that I will absolutely cherish,” he said. The game will be played in January 2017 at the Citrus Bowl in Orlando. The exact date is yet to be announced. It will likely be televised on the ESPN family of networks. The annual all-star game has been played since 2008. Bockhorst and Clifford are the first local players to be chosen for the game since Jalin Marshall of Middletown was a selection in 2013.